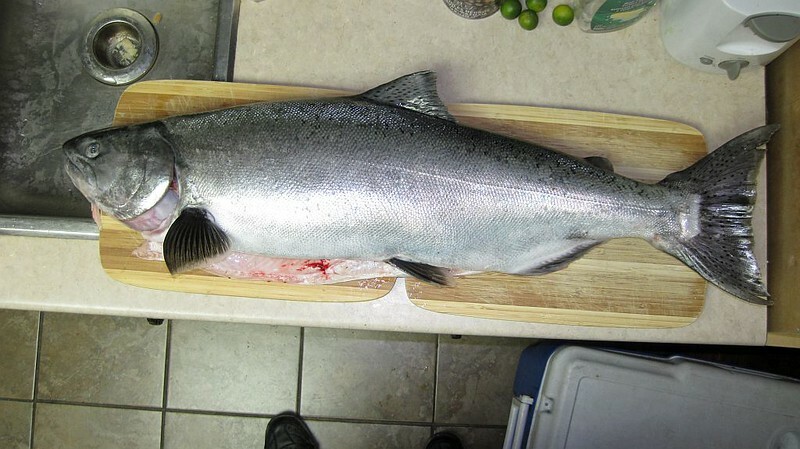 Yesterday I was lucky to get a fresh Fraser chinook. It was an 18-pound whitey, shiny like a freshly minted quarter and ocean fresh (with some sea lice still attached to it. I have caught and eaten ocean fresh white chinook before and I've loved it, but it was always smoked or grilled. 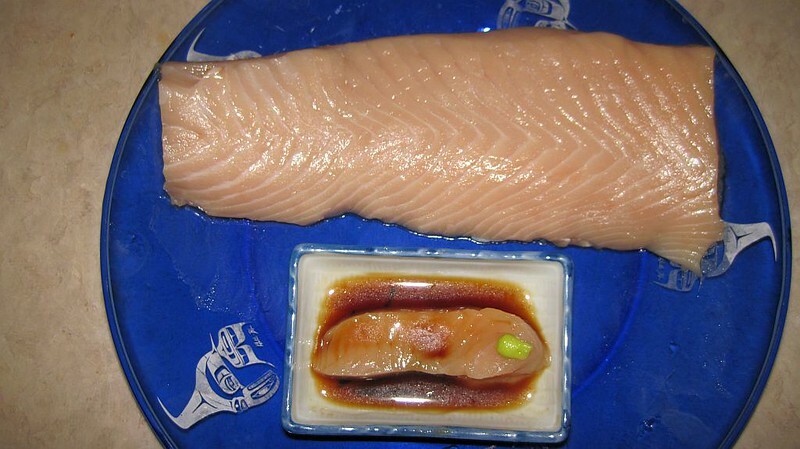 But given the freshness and quality of this particular fish, I turned some of it into sashimi, and boy oh boy, was it ever good. Looks good Milo but aren't you worried about the worms and parasites if it hasn't been frozen first? I'd love to eat it fresh but I guess I'm just too paranoid about those things. BTW, beautiful plates Milo, may I ask where you got them ? My wife would love a set of those. As a general rule, I freeze it first, too. But in this particular case, based on the excellent general aspect of the fish and the firmness and texture of the flesh, I decided to give it a go. I'm still standing, so I guess it was a good call. It was a gift from a good friend, and I think they were bought in one of those fancy native art stores on Water Street in Gastown. I'll try to dig out the exact information if I can. That is a beauty Milo, tasty looking sashimi too. Milo, Milo, you should always freeze the fish. The parasites you see are protein. The ones you don't, will kill you. Hit up the vedder, it's full of whites right now. last week I landed 3 jacks and 2 adults in 2 days. looks delicious! gonna try that someday. the Japanese would love it! These white chinooks amazes me. Caught one in the vedder 3 weeks ago and I baked its fillets without the skin with calamansi marinade, sugar and soy sauce and it was really delicious! You should've been here yesterday! Article in the Vancouver Sun about the health risks of eating fresh salmon that has not been properly frozen.